i love this image and i don’t know why. it is a little darker, both in color tone and in mood than i generally like. 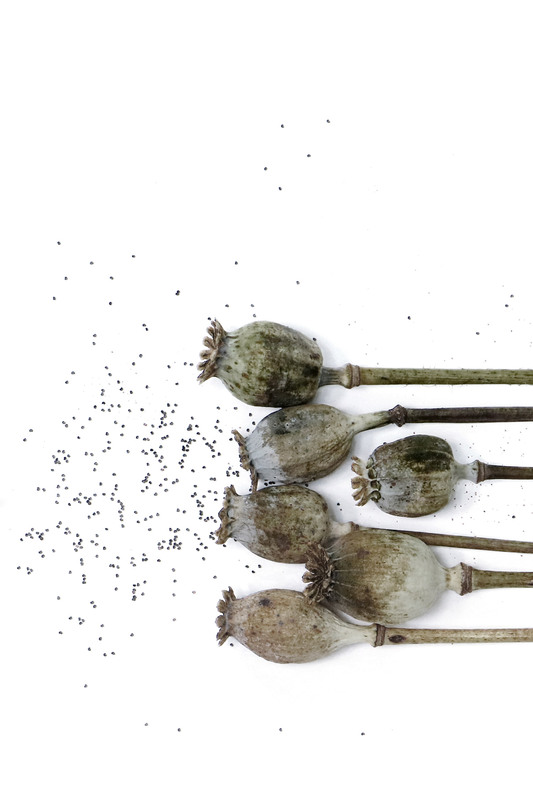 there is something a little morbid and skeletal about these poppy seed heads, and additionally there is right now in american culture such a devastating association between poppies and the opiates and opioids that are derived from them, or inspired by them, that it is hard to look at a poppy and not think for at least a second or two about ruined lives. granting all that, however, i can’t help seeing these seed heads as something more comically macabre than actually sinister. they look exhausted and awkward and i can’t tell if they are coughing out seeds from their pursed mouths, or whether they are trying to vacuum them up. they belong with the addams family. dull little monsters acting very serious, but designed to make us laugh.